We are answering the question today: Can the IRS revoke my passport because I am behind on my taxes? The short answer is a resounding yes! In late 2015, Congress passed a new law allowing the IRS to revoke passports of U.S. citizens who have a tax debt of more than $50,000 under certain conditions. In addition, the IRS may prevent a passport from being renewed or issued. The mechanics of the revocation are that the IRS may certify to the Secretary of State that a taxpayer has a seriously delinquent tax debt and it is the Secretary of State which will actually revoke the passport. A seriously delinquent tax debt is one which has been assessed by the IRS, is greater than $50,000, if a notice of tax lien has been filed, and the rights to a collection due process hearing have expired, or the IRS has issued a tax levy. This requires a bit of explanation. First of all, the $50,000 refers to a tax liability which probably includes not just the actual amount of the tax, but also additional penalties and interest. Second, it must be assessed. Taxes can be assessed either based upon a tax return you file, or an IRS tax audit, or other tax adjustment. If the IRS believes you owe more taxes, and you disagree, or don't understand how the IRS has made its determination, it's important that you exercise all of your legal rights to prevent the IRS from assessing the tax, and bringing your passport one step closer to revocation. What about the tax levy or the tax lien? At some point after the tax has been assessed, if you don't pay it, the IRS will file a Notice of Federal Tax lien, or issue a tax levy. If you'd like to understand a bit more about the difference between a tax levy and a tax lien, check out our FAQ on that topic. The IRS can't issue a tax levy until it sends a letter to you, informing you that it intends to levy, and notifying you that you have a right to a hearing. This hearing is referred to as a collection due process hearing, or a CDP Hearing. If you file a request for a CDP hearing within 30 days of the date on the CDP letter, the IRS will not be able to revoke your passport until you have had a hearing before an IRS Settlement Officer, and been given a chance to work out a payment agreement, or other collection alternatives. The IRS may file its Notice of Federal Tax Lien without first notifying you. However, after it files the tax lien, it must offer you a right to a CDP hearing. If you request a hearing, and as long as you haven't already been through a CDP levy hearing, or lost your rights to one, then the RIS may not revoke your passport. It's important to understand that the IRS may revoke your passport if you fail to respond to the first of the notices, either the lien notice, or the levy notice. 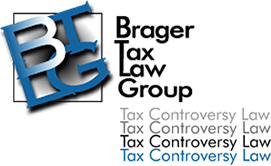 If all of this seems a bit overwhelming, and you owe more than $50,000 in taxes, you should contact a tax litigation attorney to discuss all of your options.